Cases in which the fetal heart rate is continually 180 bpm or higher may be defined as fetal tachyarrhythmia. In some cases it disappeared naturally, however; it can develop fetal edema (where water builds up in the chest or abdomen, and the whole body swells) when it continues for longer time. Fetal edema can be a cause of intrauterine fetal death or newborn mortality. Recent reports have shown the effectiveness of fetal therapy for the fetal tachyarrhythmia; however, the treatment method has not been fully established. Some clinical trials are undergoing in Japan in order to confirm its effectiveness and safety. Fetal tachyarrhythmia is diagnosed via an ultrasound examination. It is classified by the frequency of the atrial contraction, the ventricular contraction or the rate of them. It is also classified by the timing of the initiation of the atrial and ventricular contraction into atrial flutter, supraventricular tachycardia or other types of fetal tachyarrhythmia. If it is supraventricular tachycardia, the detail sub-classification is provided. 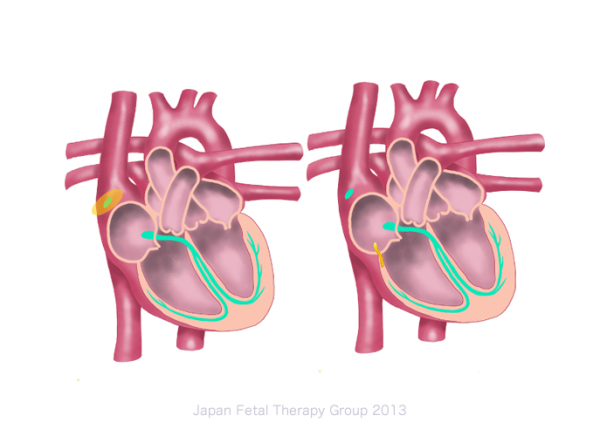 Fetal tachyarrhythmia can be disappeared naturally, but when it continues, early termination of the pregnancy and the treatment to the newborn might be required. After birth, in order to stop the arrhythmia a medication, and a defibrillator is used to the newborn. However, the earlier termination of the pregnancy can be a cause of the disadvantage in prematurity of the newborn. 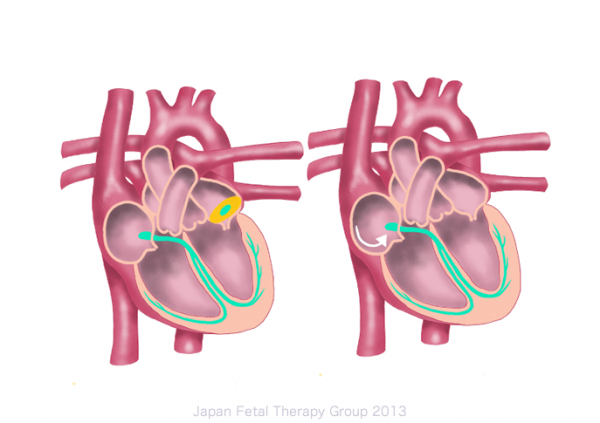 Fetal therapy involves administering antiarrhythmic agents to the fetus in utero via mother. If arrhythmia is stopped, the pregnancy can be continued, allowing the infant to be delivered in the better condition. Because of the medication to the healthy mother who doesn’t need to be treated herself, the intensive observation should be done to avoid the serious side effects of the drugs. Some reports have shown that around 80% of the cases of fetal tachyarrhythmia found to be controlled, resulting the reduction of the premature delivery and the cesarean section rate. A pilot study which was done before in Japan has shown the same results.